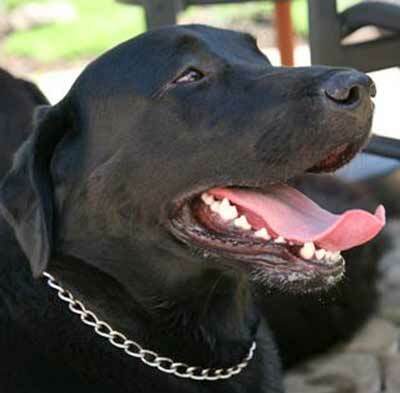 Black Labrador Retriever Hogan has seen and heard so many amazing stories of his fellow pets doing such great things that he has decided to honor some of them. If you know of a pet that might be a candidate for Hogan's Heroes, please let us know. Don't forget to read (and comment on) Hogan's Blog. Watch this 46 second video (below) that shows a Guide Dog's revenge. He is a true Hogan's Hero.